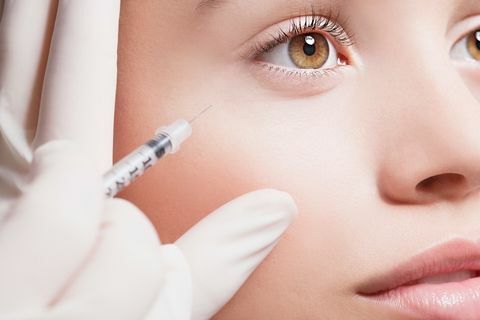 Mesotherapy is a safe technique as the mesotherapy solution is placed directly into the targeted area therefore minimising side effects, allergies and drug interactions. The target areas for treatment are directly reached with smaller amounts of medication being required and the effects of the treatment are instantaneous. Another advantage of this technique is that it can be administered alongside other classic anti-aging treatments such as toxins, fillers, laser and peelings. Mesotherapy can be an effective alternative to surgery including liposuction, as it is virtually painless and requires no post operative recovery time and no anaesthetic is required. Small doses of different medications are administered in specific areas depending on the condition being treated. They act like a “medical bullet” that is delivered directly to a target in the body. An effective time-release delivery system that can stimulate collagen, reduce the appearance of wrinkles, repair connective tissue, reduce double chins, cellulite & “love handles”. Mesotherapy can shrink fat cells, rid areas of “orange peel” like skin, creating a smoother and more even-toned appearance and increase circulation. The technique was formulated in 1952 by the Dr M Pistor in France and was recognised by the French National Academy of Medicine in 1986. Mesotherapy can treat the face, neck, decollete, double chin, scalp, hands and arms. Other areas that can be treated are legs, knee pads, inner thigh bulge, back, abdomen, stomach, buttocks, saddle bags and love handles. Each treatment generally takes between 20-45 minutes depending on the condition being treated. The speed of the results depends on the extent of the condition and the area being treated. Rejuevenation procedures show visible results within 1-2 days following treatment. Eye fat bags will ususally show improvement after 1-2 treatments and cellulite can vary from 2-4 treatments. Results are generally long lasting however they fade with time. It is therefore recommended that you attend a maintenance treatment on a regular basis. When treating cellulite & localised fat it is recommended that the maintenance treatment should be combined with exercise and nutritious diet. Needle-free Mesotherapy is pain free. However with injectable Mesotherapy you should only experience minimal discomfort. A topical anaesthetic can be applied to take away this sensation. A common side effect of Mesotherapy is bruising, which generally resolves after a week. It is best to avoid contact with the sun directly after treatment as this may produce pigmentation.